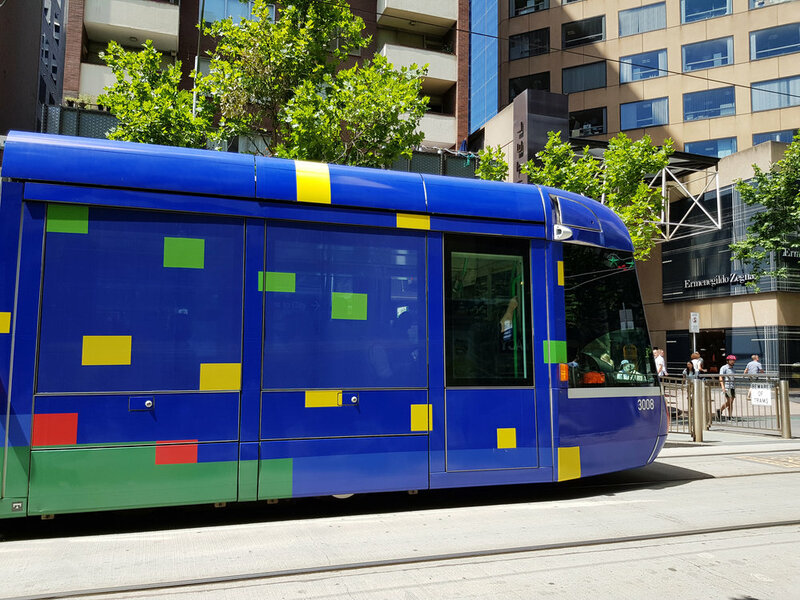 Melbourne Art Trams is made possible through a creative partnership between Melbourne Festival, Creative Victoria and Public Transport Victoria in collaboration with Yarra Trams. Beautiful Stranger is a continuation of Robert Owen’s celebrated series Music for the Eyes, inspired by jazz, movement and light. It plays homage to the history of jazz in Melbourne, and extends Owen’s exploration of art’s capacity to translate mood and emotion through colour. 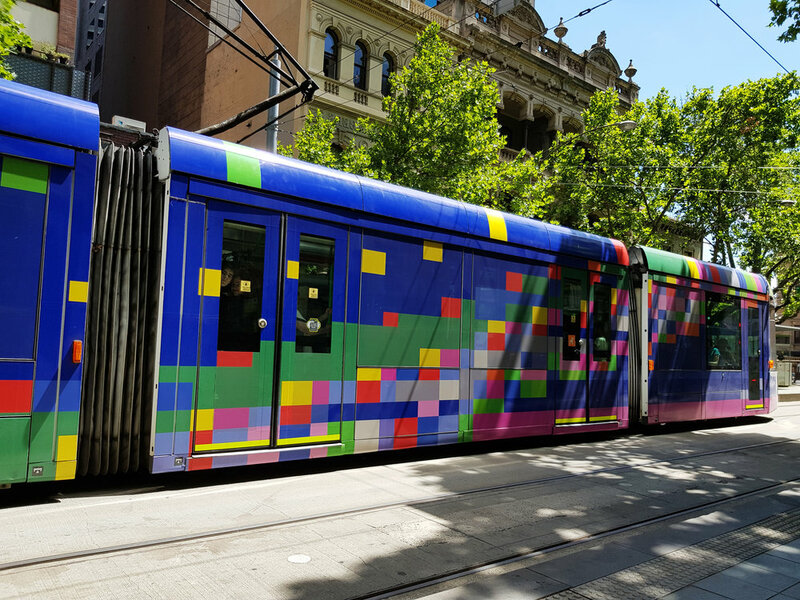 Beautiful Stranger reflects chance encounters between Melbourne’s vibrant multicultural communities that travel the trams everyday.